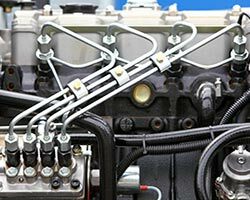 DIESEL Diesel Services NZ are your one stop Diesel specialists. We are authorised Service Dealers for BOSCH, DENSO, STANADYNE & DELPHI. 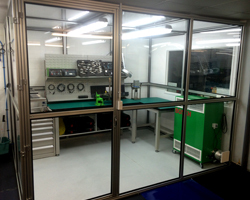 We are the only Diesel shop in Auckland to be supported by all the Diesel Equipment manufacturers. 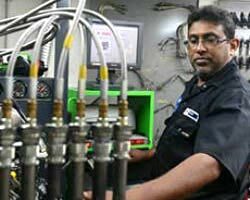 We have a dedicated team of highly skilled technicians, factory trained by the manufacturers on the latest high tech fuel systems equipped on today’s modern diesel engines. 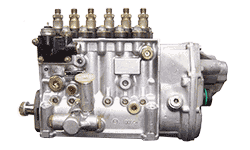 We cover all makes and sizes of diesel engines including: Utes and SUV’s, Passenger Cars, Buses, Trucks, Light commercials, Industrial engines, Forklifts, Marine engines, Generators …and more. 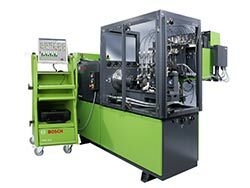 We are the only BOSCH DIESEL CENTER in the greater Auckland area. 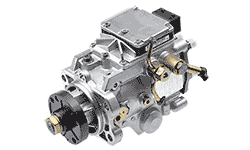 We specialise in modern and traditional fuel systems including COMMON RAIL INJECTORS, COMMON RAIL PUMPS, ELECTRONIC UNIT INJECTORS, EDC PUMPS, INLINE PUMPS, ROTARY PUMPS ….and more. 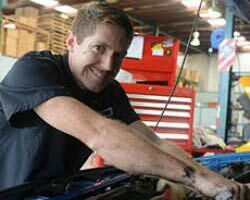 Diesel Services NZ is also your Diesel Diagnostic Experts with a large range of modern scanners, diagnostic tools and oscilloscopes for fast efficient and accurate diagnostics. So if your vehicle is leaking diesel, blowing smoke, lost power or running rough, give the experts a call, we are waiting for your call.